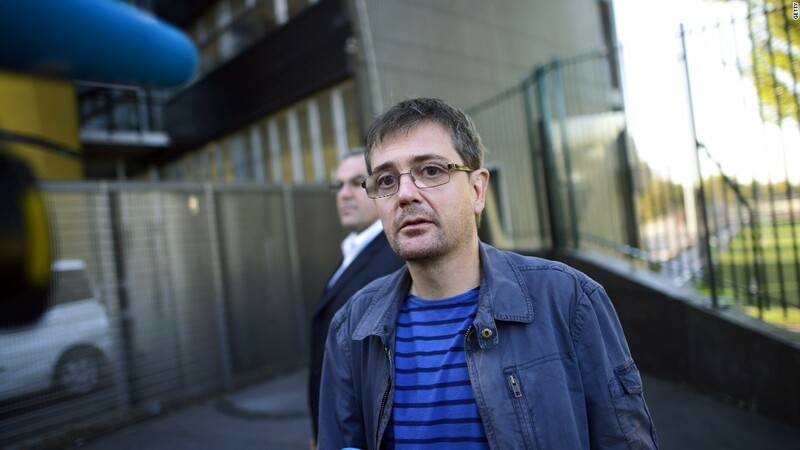 A co-founder of Charlie Hebdo disagreed with the French magazine's decision to publish cartoon depictions of the Prophet Mohammed and says he is upset with the magazine's slain editor, Stephane Charbonnier. Henri Roussel, now 80, wrote a letter with his views in the wake of the terrorist attack at the magazine's office in Paris. Twelve people were killed, including Charbonnier, known as "Charb." Roussel called Charbonnier "brilliant" but "stubborn." He said he thought the magazine went too far with its provocative images, particularly after the 2011 firebombing of the office. That incident came at the same time the magazine published a cover image depicting the prophet. "What made him feel the need to drag the team into overdoing it?" Roussel asked, according to an English translation of his letter in the French-language magazine Nouvel Obs. "I'm upset at you, Charb," he added. Roussel's remarks mimic the public debate about the appropriateness of Charlie Hebdo's depictions of the prophet. According to British media reports, Charlie Hebdo lawyer Richard Malka condemned Roussel's comments, calling them "polemical and venomous." The magazine's so-called "survivors' issue," published Wednesday, expressed appreciation for the outpouring of public support after the January 7 attack. The support continues, with sellouts at newsstands across Paris on Friday for a third day in a row. "It's still sold out almost everywhere we look," CNN's John Berman said. About 1 million copies of the magazine are being printed each day. Michel Salion, a spokesman for the magazine's distributor, said technical problems will result in fewer copies than expected on Saturday; normal distribution will resume on Monday. "Merci de votre patience," he wrote on Twitter -- "thank you for your patience." On Saturday, Salion said the total print run had been boosted to 7 million. He said it is "too early" to say how much money has been made through the sales. Meanwhile, opposition to the new issue's cover image, which portrays the Prophet Mohammed, turned violent during a protest in Karachi, Pakistan on Friday. Demonstrators tried to march to the French consulate but were turned back by police water cannons and tear gas. A photographer working for AFP, a wire service based in Paris, was shot during the chaos. "Investigations are underway to determine who shot him," Ahmed Chinoy, chief of Karachi's Citizen Police Liaison Committee, told CNN. Protests were also reported in Jordan, Algeria, Niger, Mali, Somalia, Senegal, and Mauritania. --CNN's Sophia Saifi contributed reporting from Islamabad, Pakistan.